Welcomes G4S Secure Solutions (USA) Inc.
G4S is committed to ensuring that individual employees are treated fairly and with dignity and respect. Through the Dignity and Respect Campaign, we promote a work atmosphere that is professional, productive and fun. Pledging, you take responsibility for interacting with others in a way that promotes dignity and respect. 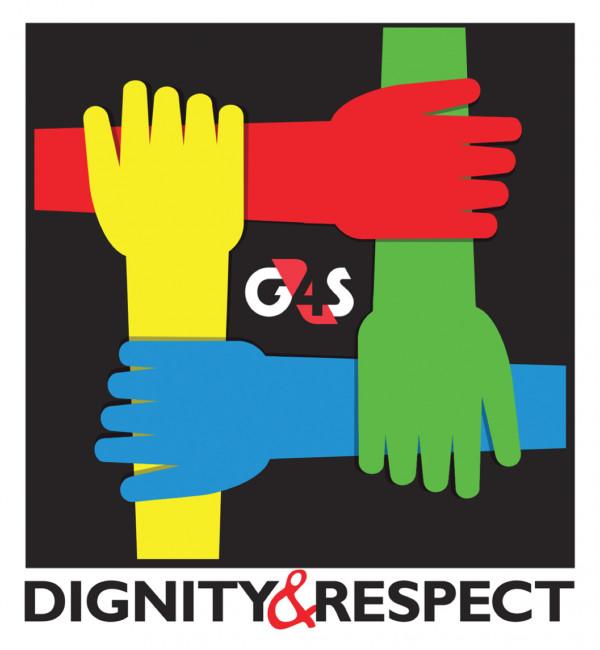 By providing your email address, you let us know that you would like to receive email communications about G4S’ Dignity & Respect Campaign. Your Zip Code – lets us know where the campaign is making progress. We hope you are having a great day. Thank you for visiting!